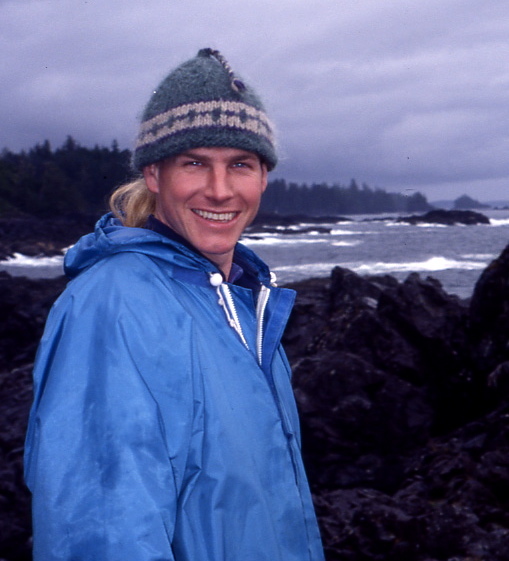 My Hubba-Hubby sporting his green knit hat, Vancouver Island, September 2001. 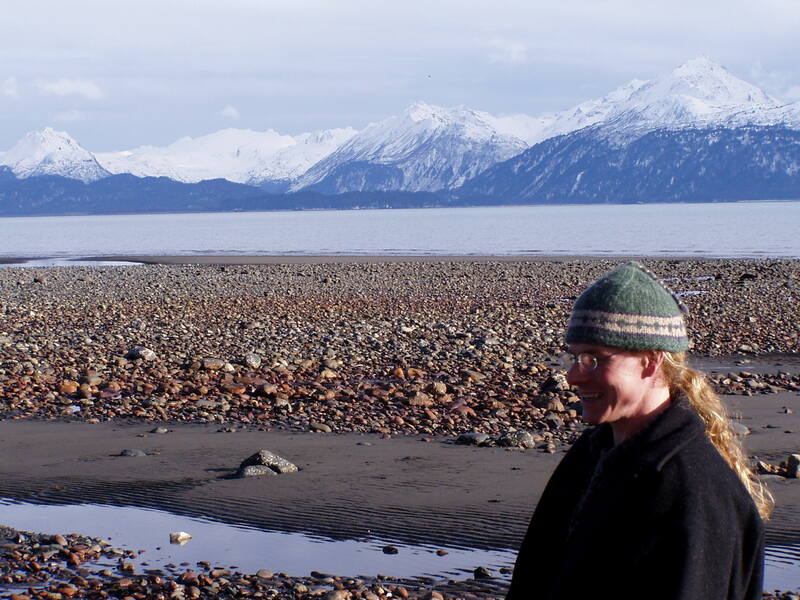 Andy & his 1st handknit hat on the Homer Spit, Alaska, February 2003. 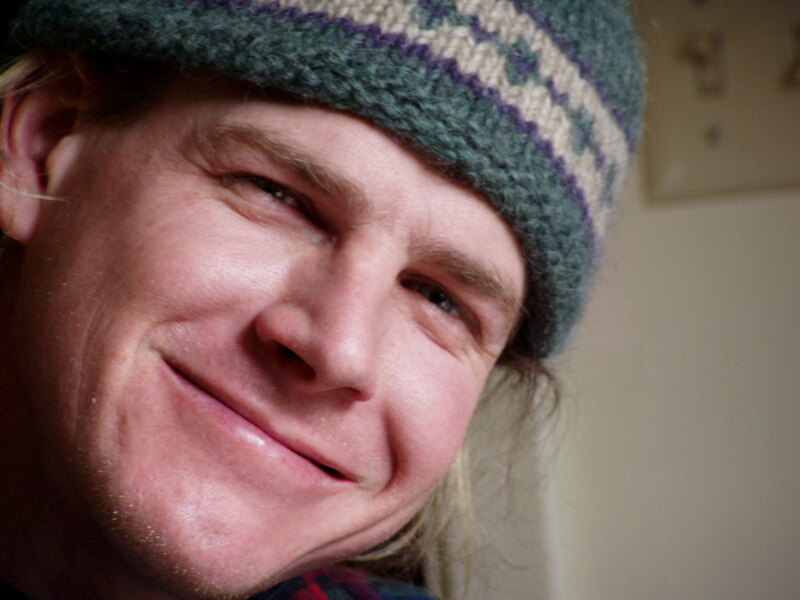 Andy loved his green toque just as much as I loved my green courderoys. 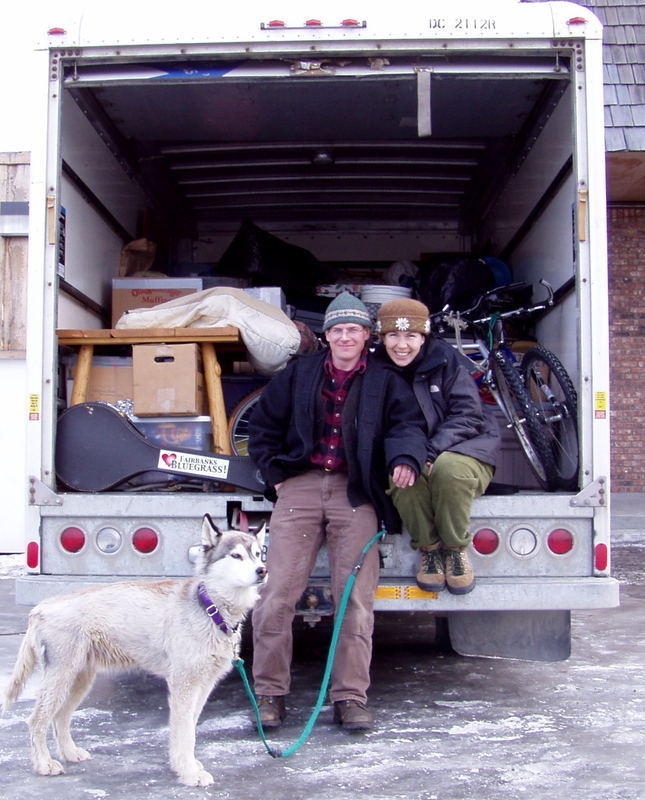 QuinnDog, Andy & me with all our worldly possessions, leaving Alaska, March 2003. Fixing to fix a flat tire during our epic cross-country move. He’s a keeper, that’s for sure. 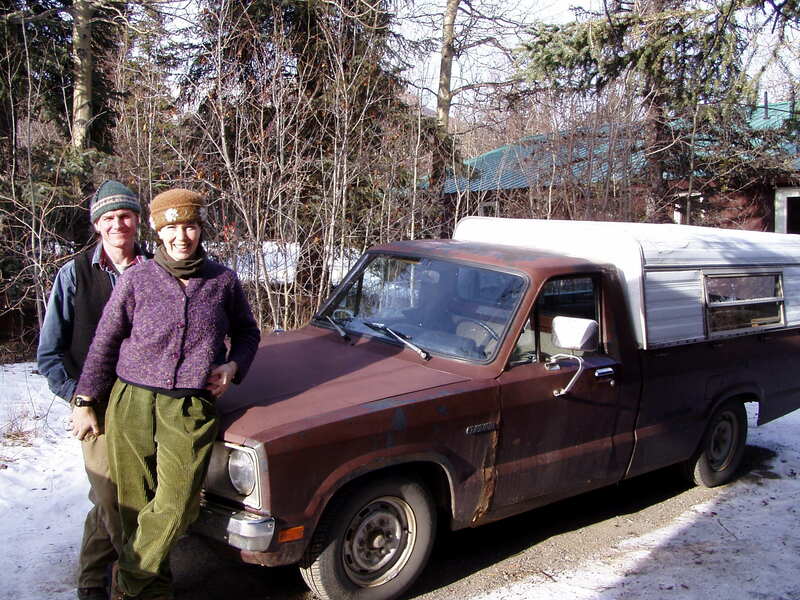 This entry was posted in Alaska, Family, Hat of the Week, Travel and tagged 17 Days of Green, Andy Mulligan, eye candy, Homer Spit, Vancouver Island by Carrie Cahill Mulligan. Bookmark the permalink. Lol, gotta love hunky men in wool hats! Those cross-country moves are killer, although I’ll venture a guess that yours was pretty epic! I’ve moved from West Virginia to Washington state and from Washington state to Pennsylvania. I’m not doing that EVER again, hahaha. Whoa! That’s a LOT of moving. Our move was epic, for sure, be we only did it once. 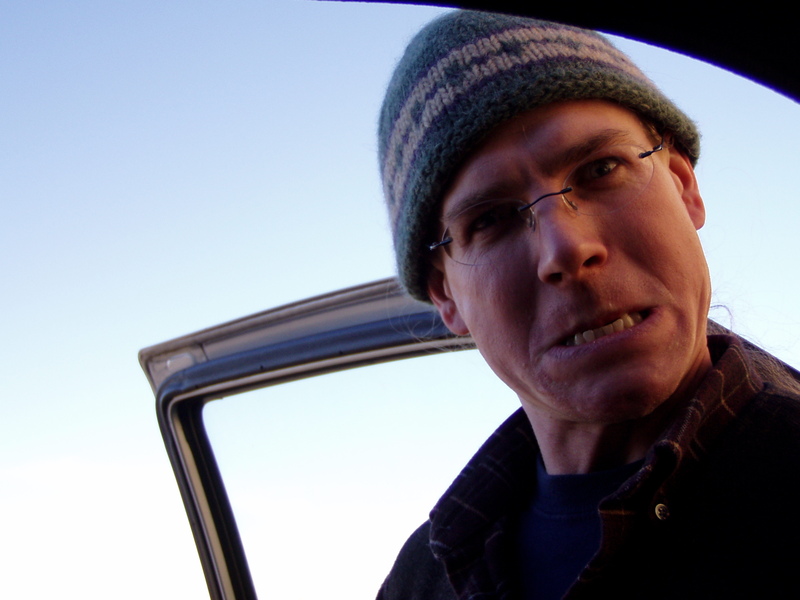 Sometimes, when Andy gets fed up living back here, he’ll toy with the idea of moving back to Alaska… but we both just groan, even thinking about it.